angel - Between Us Sisters, Inc. 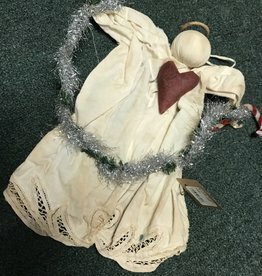 This battenburg lace angel is trying not to tangle her tinsel. She measures about 11" tall and is starched and stained for your decor.